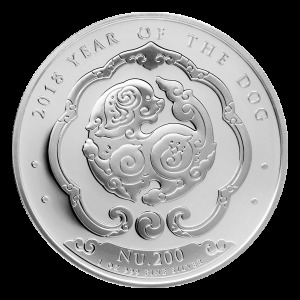 Order your 1 oz 2018 Niue Tree of Life silver coin from our online store today for the lowest price. 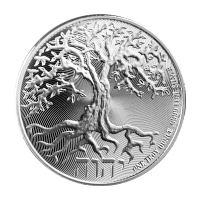 The coin celebrates an ancient symbol that that has roots in many religious and existential philosophies the world over, the all-embracing tree of life. The obverse feature is an enchanting render of the tree of life in bloom, shown here as an almond tree, floating in a field of light catching, micro-engraved radial lines in a spiralled format. Also on the obverse, the word-name Yahweh, which, in Hebrew, means 'the one who gives true life,' as well as the coin's weight and purity. The coin's obverse features the Ian Rank-Broadly portrait of Elizabeth II, portrayed in detail against a field of starburst radial lines. 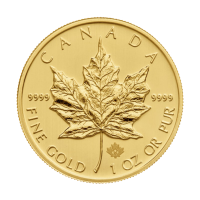 Joining Elizabeth II's name and portrait on the reverse, you'll find the coin's country of origin, year of release and denominational value. The Tree of Life, or Etz haChayim, in the Jewish system of Qabbalistic sacred geometry, is the template upon which all of history's most powerful symbols were drawn, such as the cross, and pentacle; the symbols follow lines upon the geometric tree, representing complex relationships between deeper archetypes. 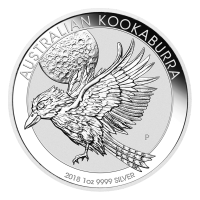 Enjoy this rich token of immortality, new beginnings and interconnectedness by purchasing a 1 oz 2018 Niue Tree of Life silver coin and diversifying your portfolio. 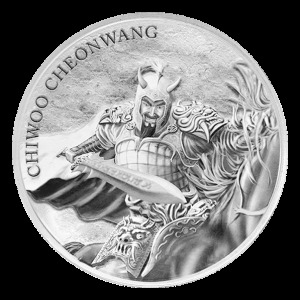 The coin you receive may be in tarnished or in used condition. Obverse An almond tree in blossom with the Hebrew script for Yahweh. Reverse Effigy of Queen Elizabeth II and the words "Elizabeth II Niue Two Dollars"
An almond tree in blossom with the Hebrew script for Yahweh. 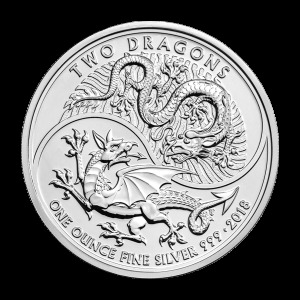 Effigy of Queen Elizabeth II and the words "Elizabeth II Niue Two Dollars"
1 oz 2018 Niue Tree of Life Silver Coin Order your 1 oz 2018 Niue Tree of Life silver coin from our online store today for the lowest price. 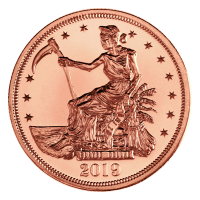 The coin celebrates an ancient symbol that that has roots in many religious and existential philosophies the world over, the all-embracing tree of life. The obverse feature is an enchanting render of the tree of life in bloom, shown here as an almond tree, floating in a field of light catching, micro-engraved radial lines in a spiralled format. Also on the obverse, the word-name Yahweh, which, in Hebrew, means 'the one who gives true life,' as well as the coin's weight and purity. 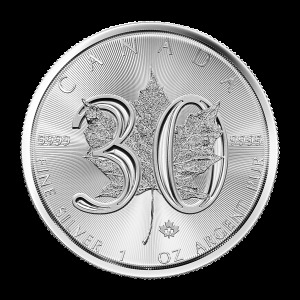 The coin's obverse features the Ian Rank-Broadly portrait of Elizabeth II, portrayed in detail against a field of starburst radial lines. 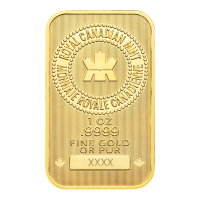 Joining Elizabeth II's name and portrait on the reverse, you'll find the coin's country of origin, year of release and denominational value. The Tree of Life, or Etz haChayim, in the Jewish system of Qabbalistic sacred geometry, is the template upon which all of history's most powerful symbols were drawn, such as the cross, and pentacle; the symbols follow lines upon the geometric tree, representing complex relationships between deeper archetypes. 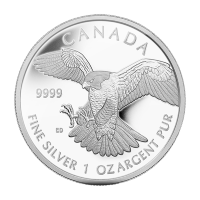 Enjoy this rich token of immortality, new beginnings and interconnectedness by purchasing a 1 oz 2018 Niue Tree of Life silver coin and diversifying your portfolio.